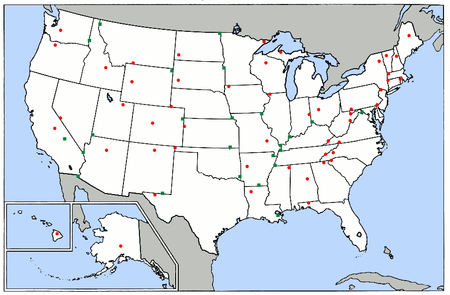 The red dots mark the high points. We enjoy telling folks about what our guides are up to when they’re not guiding or instructing a course. We can only share some. 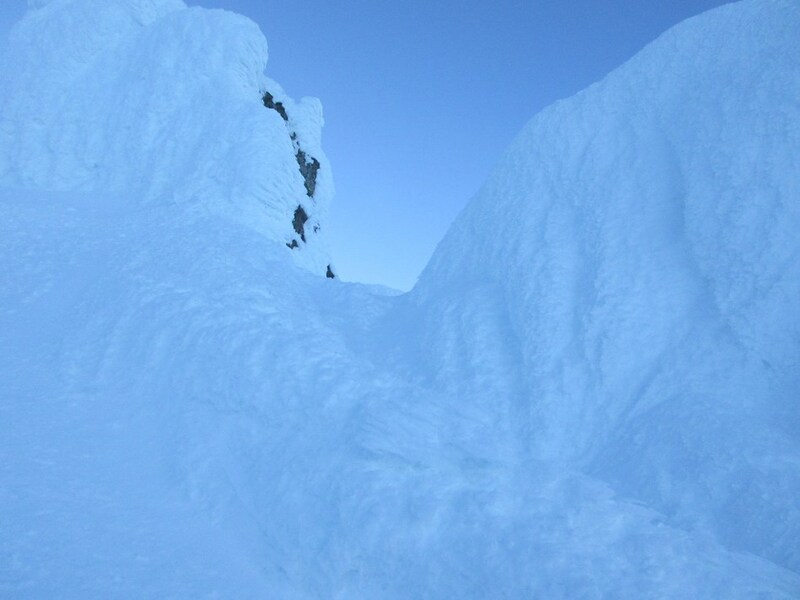 They are way too active for us to get into detailing the day-to-day runs, climbs, and hikes they do, even though many are surely noteworthy. The bigger stuff, however, we try to make the time for. 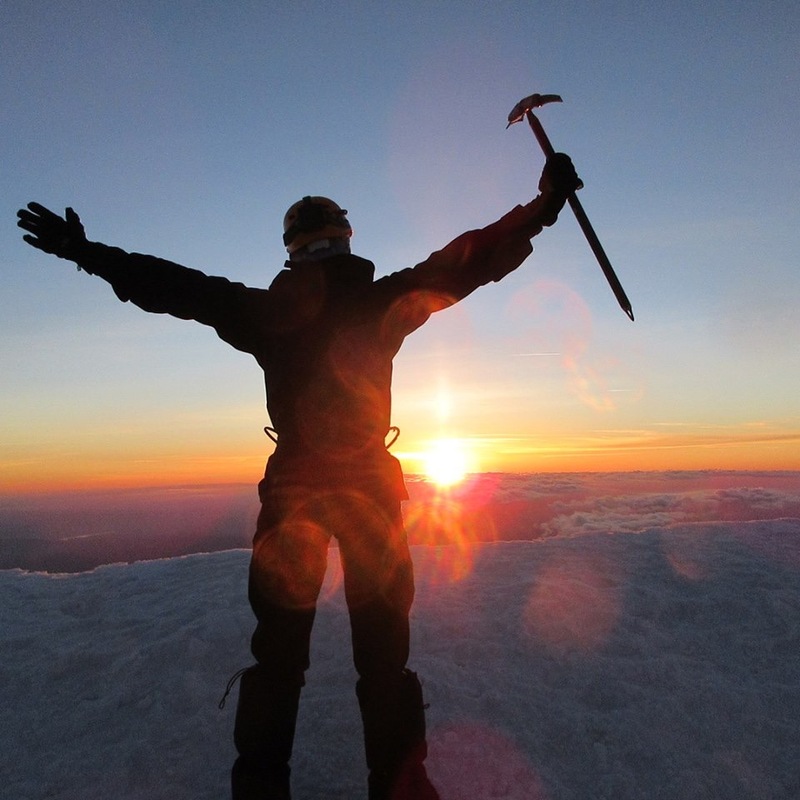 As such, one on our guides, Kristina Folcik, just got back from climbing the 11,249′ Mt Hood in Oregon (which will help prepare her for guiding you on Mt Washington this winter). 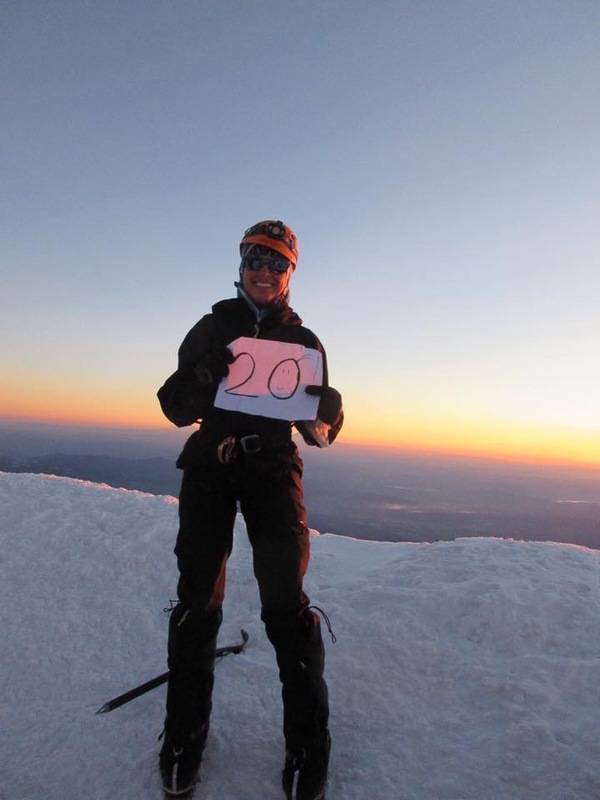 For Kristina, Mt Hood is a lesser mountain when compared to her previous summit. The reason is she is highpointing the United States, but doing so in reverse, completing the list from highest to lowest. 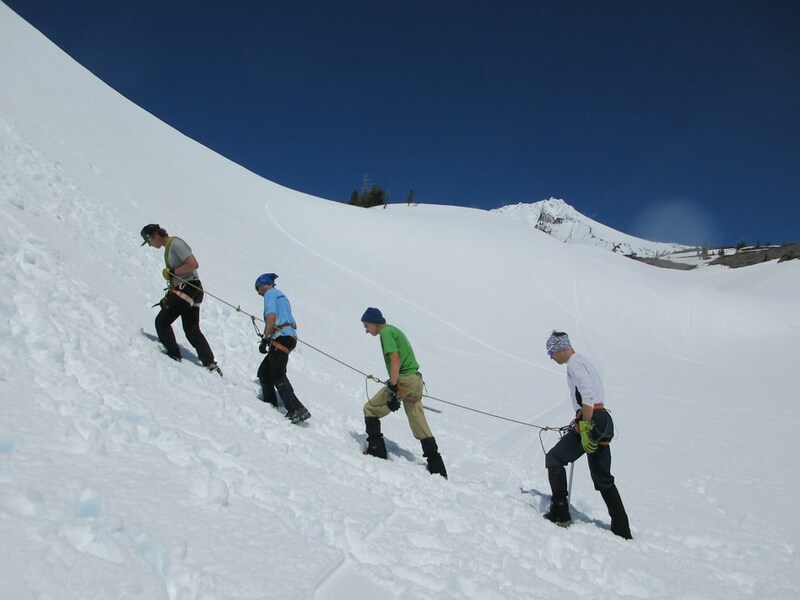 Mt Hood was her twentieth state and they just keep getting easier and easier. Wow! Congratulations Kristina! A team skills refresher before the climb. In the background the summit is right there… or it seems that way. Access to the top via the Pearly Gates this time. 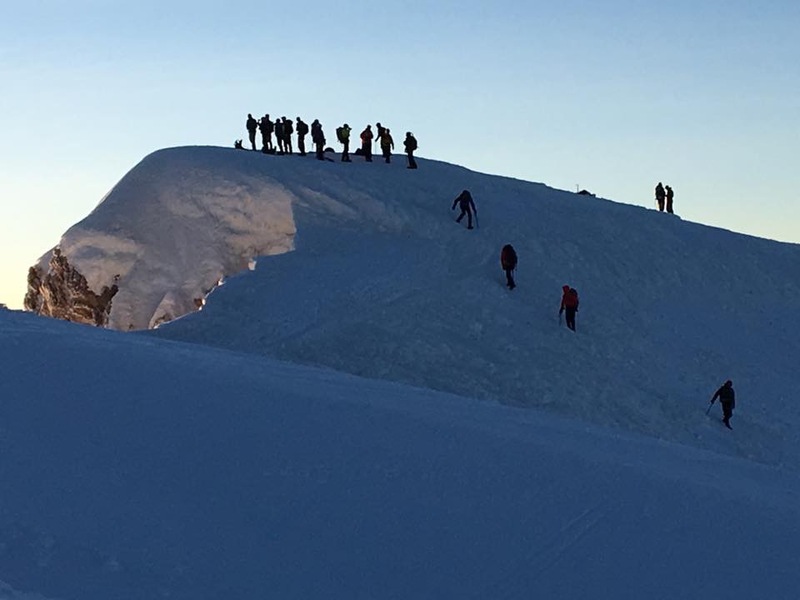 Kristina’s whole team on the summit. 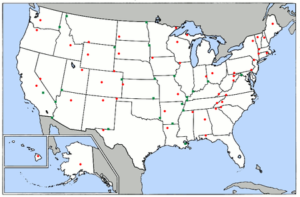 Twenty state highpoints, from highest to lowest, done. 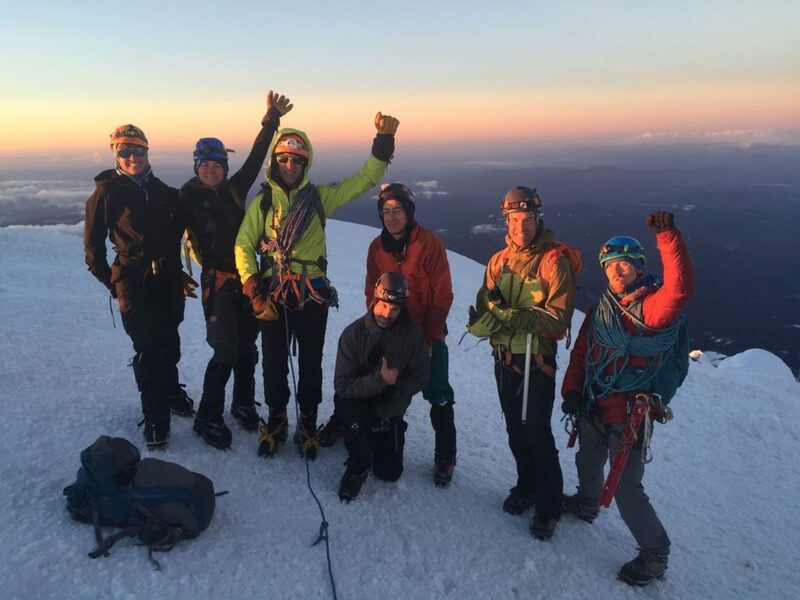 Sweet summit success. A fine way to start the day. Congratulations! Looking back as the team makes its way to Old Chute for the descent. For more words about this adventure along with even more photos, check out this entry on Kristina’s blog.